And just like that, the first day of school has already come and gone here in Tell City. Summer break is over, and we begin the transition to a different routine. I totally remember what the first day was like as a teacher, too. All of the students entering with their new backpacks, folders, sharpened pencils … and those brand-new shoes they can’t quit admiring. They walk the halls, heads down, nervous (yet excited) about their new endeavor. It’s been a few years since I had my own classroom. It’s been a little less time since I was a curriculum director, present in the schools, walking the hallways, greeting students on the first day. Each year since then, I’m a little saddened that I’m not in my own classroom anymore. That I’m not welcoming a new group of students who I’ll watch grow throughout the school year. 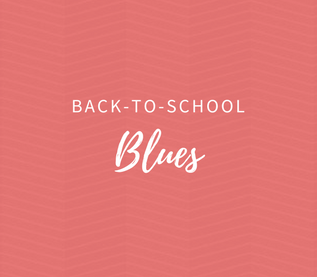 Last year, when I was experiencing the back-to-school blues, I went for a run by the elementary school, so I could catch a glimpse of the children entering the school, some still clutched to their momma’s hand. I saw my friend, the principal, greeting each and every car, and I felt proud of all of the people in those school buildings, committed to working for our children. Later, I trotted back home where I did a little meditation, and then got down to business in the Strobel Ed office. I may not get to have the same first day experience now that I did when I was a classroom teacher, but I know that what I do MATTERS. I get to work with teachers to help them OWN this profession, to feel proud of the work they do on a daily basis. I’m motivated more than ever to “Reinvent Education” for both our students and our teachers. I see a shift happening in education, and it’s a good one. Sure, we all feel disgruntled at times, and the system doesn’t always appreciate educators. But even with these challenges, I see teachers showing amazing perseverance and determination. Regardless of their external circumstances, teachers are committed to serving our children. After all, making a difference in the life of children is what we, as educators, are called to do! So, while the first day of school might inspire a twinge of sadness in me, it also invigorates me. I know that my journey to inspire educators has merely just begun. And while they’re in the classrooms helping our children succeed, I’ll be here working hard to ensure our teachers have the tools they need to succeed! Our teachers simply amaze me with their commitment to education and to children. They make me feel great pride to own this very sacred, noble profession. And it’s my honor to serve them.